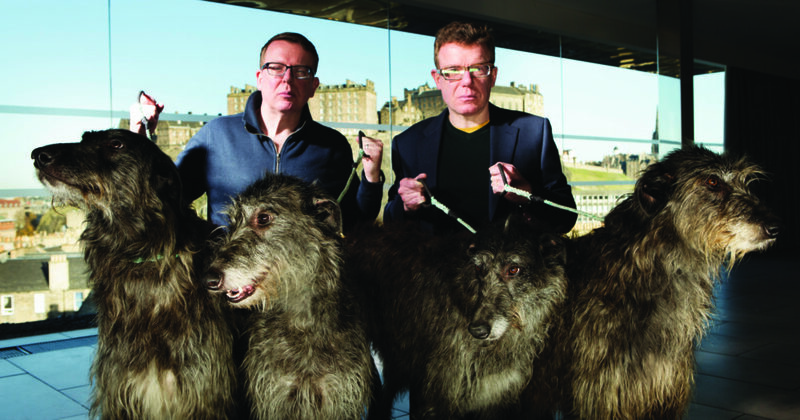 Best known for the hit singles “I’m Gonna Be (500 Miles),” “Sunshine on Leith,” “I’m On My Way,” and “Letter From America,” the identical Scottish twins known as The Proclaimers have announced the release of their 10th studio album, LET’S HEAR IT FOR THE DOGS, out May 5th on Compass Records. Craig and Charlie Reid have enjoyed huge success across the English speaking world throughout their years as a band. The quirky pair has carved a niche for their brand of sing-along raucousness and witty, vulnerable songwriting at the junction of pop, folk, new wave and punk. 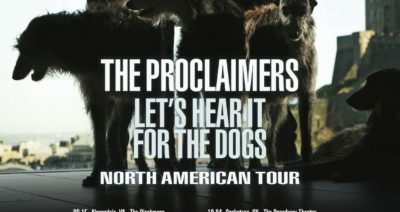 With both Gold and Platinum singles and albums in the US, UK, Canada, Australia and New Zealand, The Proclaimers have found their way into the hearts and headphones of fans spanning nearly three generations. LET’S HEAR IT FOR THE DOGS proves The Proclaimers to be craftsmen of gloriously catchy songs who are simultaneously unabashed romantics. The album was recorded at the legendary Rockfield Studios in Wales and was produced by Dave Eringa, (The Who) and features their live band: Stevie Christie (keyboards), Garry John Kane (bass), Zac Ware (electric guitar) and Clive Jenner (drums) with additional guitars by Sean Genockey and an appearance by the Vulcan String Quartet.